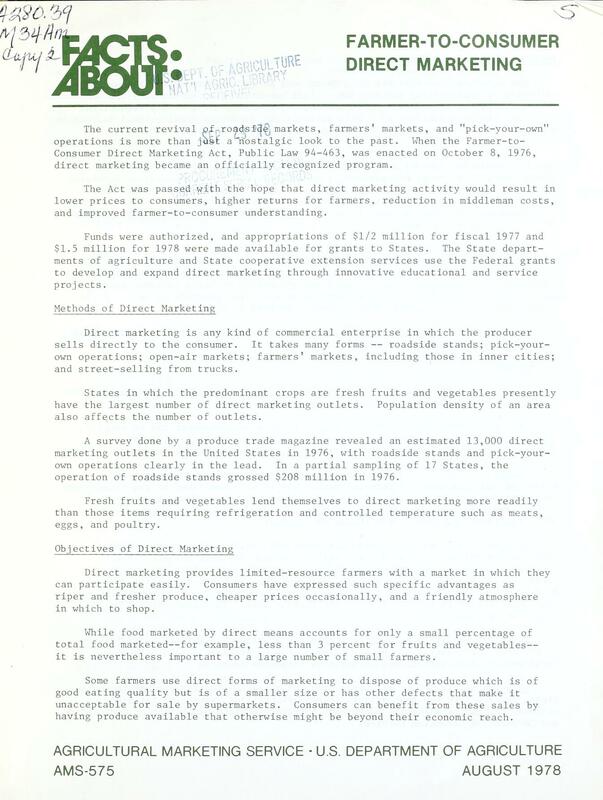 The current revival of roadside markets, farmers’ markets, and “pick-your-own” operations is more than just a nostalgic look to the past. 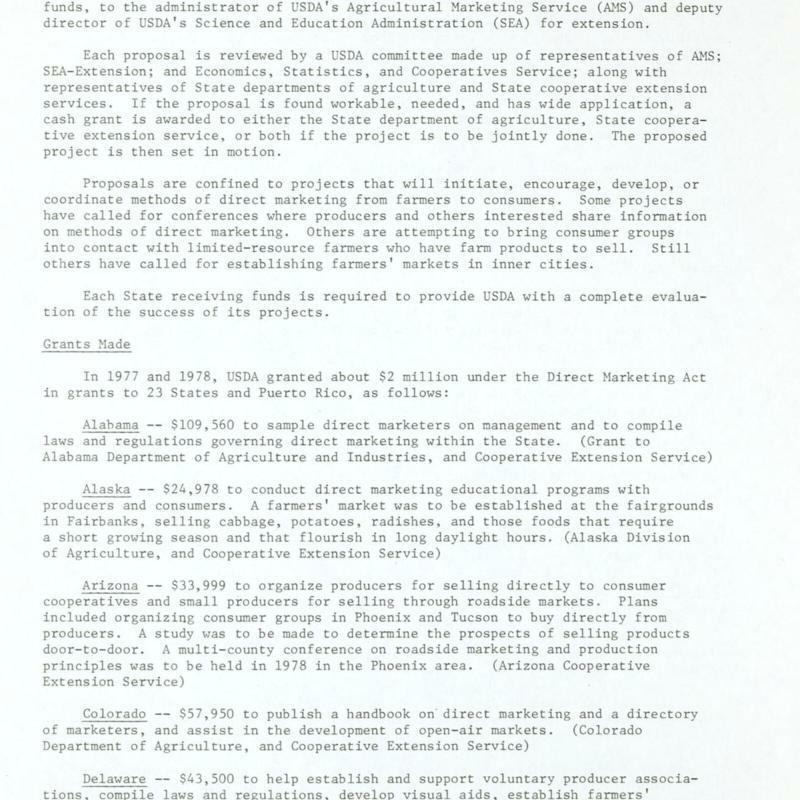 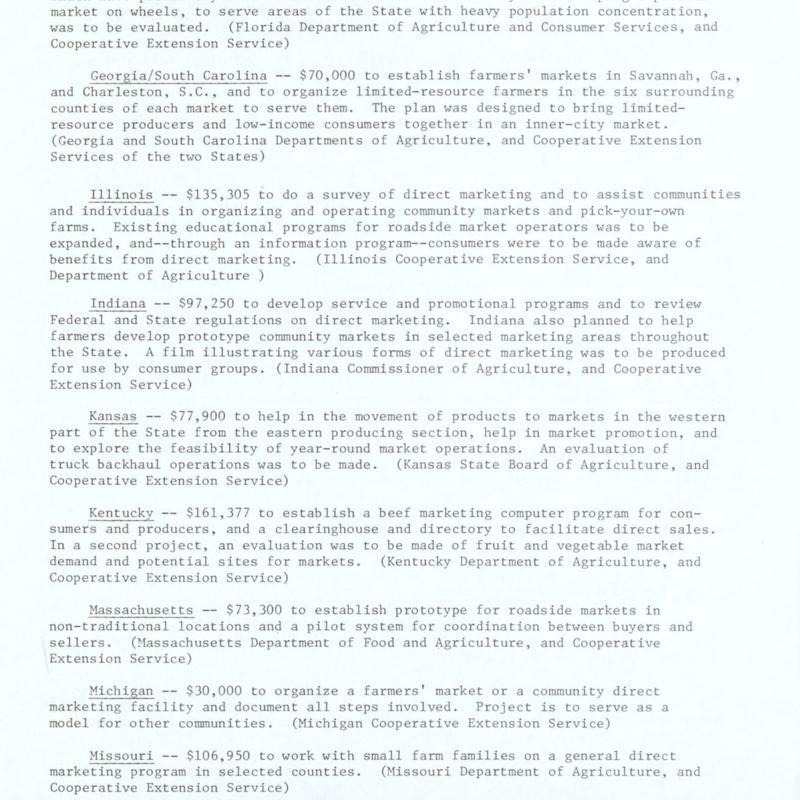 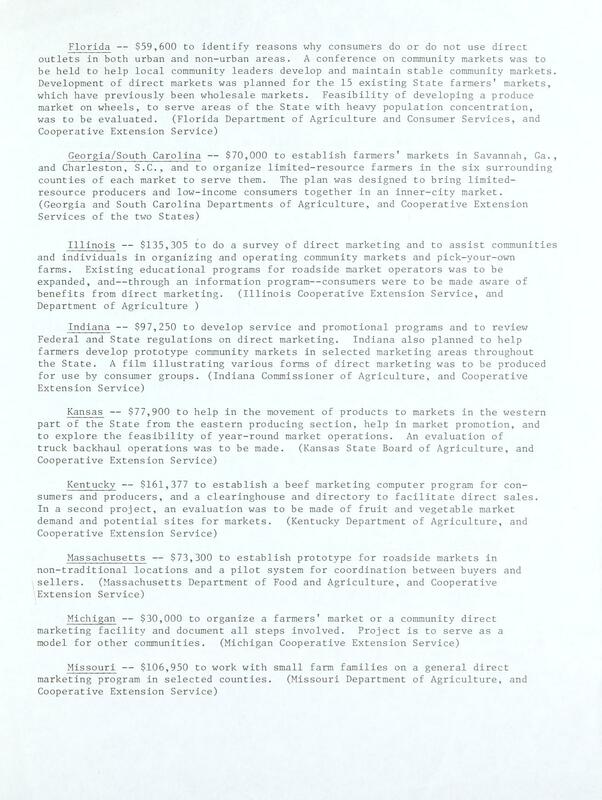 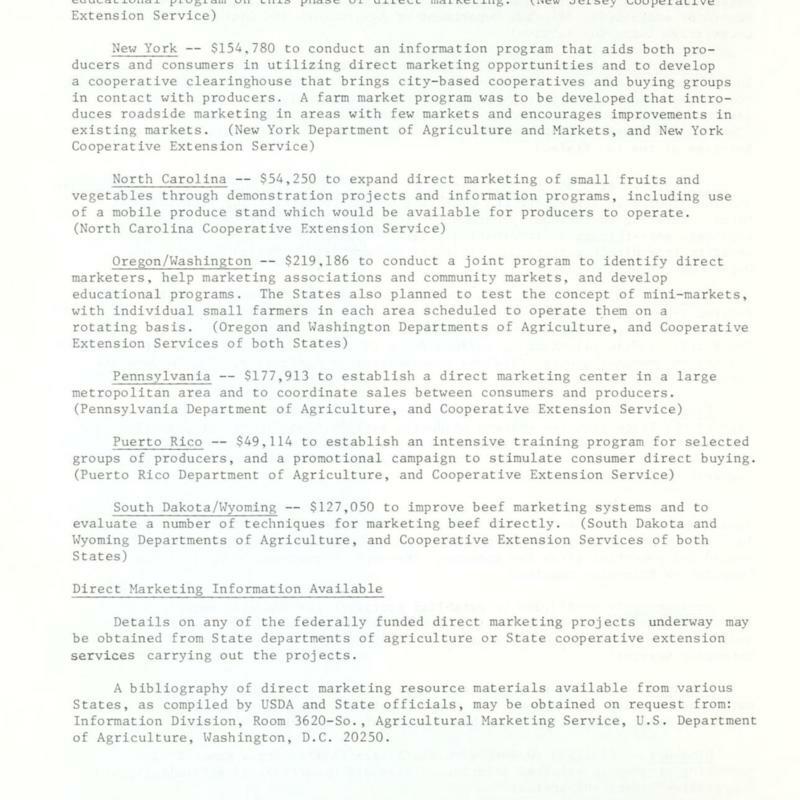 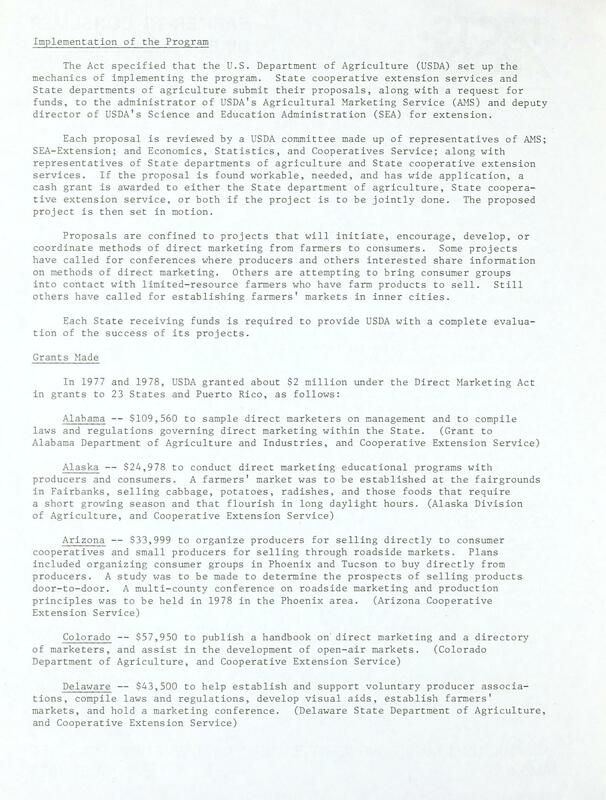 When the Farmer-to-Consumer Direct Marketing Act, Public Law 94-463, was enacted on October 8, 1976, direct marketing became an officially recognized program. 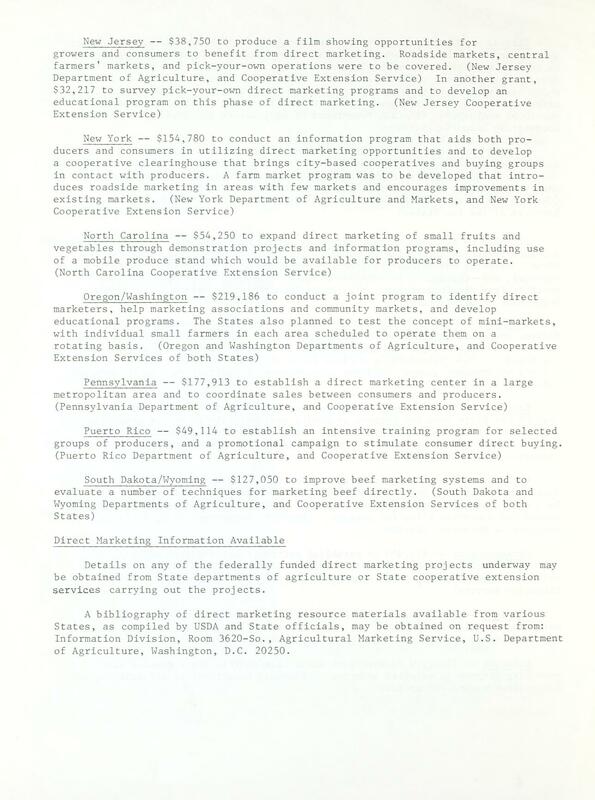 The Act was passed with the hope that direct marketing activity would result in lower prices to consumers, higher returns for farmers, reduction in middleman costs, and improved farmer-to-consumer understanding.